Orla Barry is London/Europe reporter and producer for The World. She has been a producer with the BBC World Service for six years, working on Outside Source, World Have Your Say and Newsday. 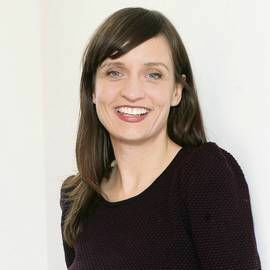 Orla has been a national broadcaster on the Irish radio station Newstalk, where she presented the daily morning show and a weekend arts and culture show. Orla has produced a series of documentaries from East Africa, including Rwanda, Ethiopia, Tanzania and Uganda. She also presented a BBC Radio 4 documentary on the Irish women who built Britain. She previously worked as an independent producer for NBC and Arte. Orla has been a columnist with two Irish national newspapers, the Irish Examiner and the Irish Independent. She has a Master’s degree in politics and development studies. Viktor Orbán rose to power on an anti-migrant platform and has severely limited refugee resettlement in the country. But for refugees who have made it and for the NGOs helping migrants, today's Hungary is an uncomfortable place.